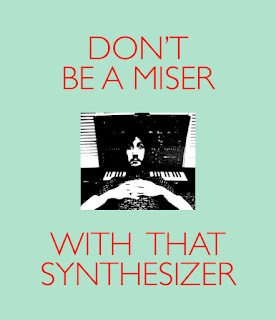 Don't be a miser with that synthesizer. As of today, the Blackball Project is running a free, summer-long electronic music course at the Toronto Kiwanis Boys and Girls Clubs. We madly need six to ten electronic instruments. If you have a dusty, musty old synth, drum machine or tone generator that needs a new home, call or text the Blackball Project at 647.648.8920, or send a mail to blvckbvll@gmail.com and we’ll tell you how to donate. We are not looking for gear in mint condition. If it lights up and makes a noise, we can use it. The first series of Blackball sessions will continue until the end of August. Further iterations at other community service agencies are in the works. For more information, go to blvckbvll.blogspot.de. 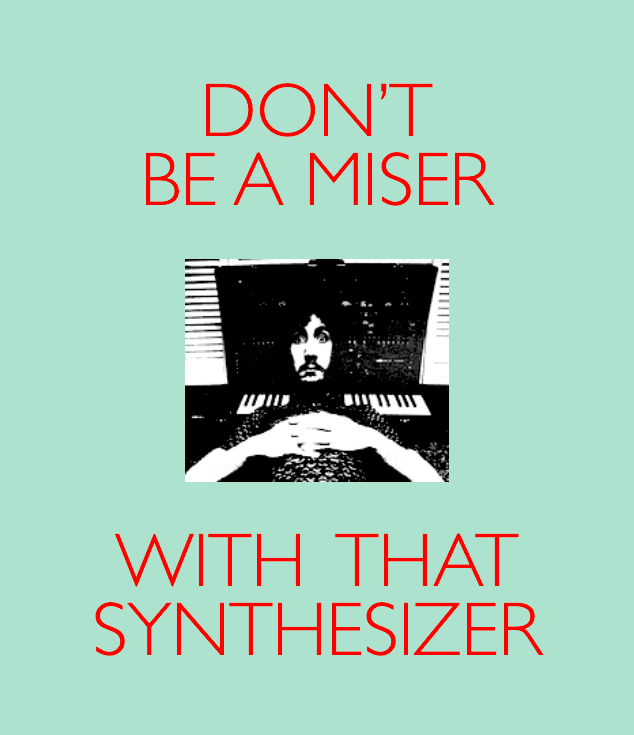 And don't be a synthesizermiser!